25. January 2018: Amazon’s forays into banking in India and Mexico shows that for GAFA banking could be more a feature than a product: As Bloomberg reports, Amazon has begun offering payment cards (credit/debit cards) and other financial services to customers in India and Mexico. With an unbanked population of 18% India and 56% Mexico, there is reason to believe that Amazon sees banking more as a feature than a stand-alone product. 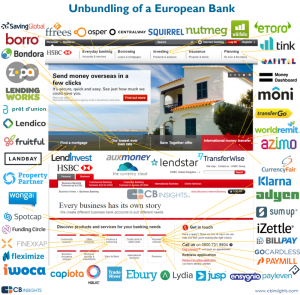 By banking more people they are creating more potential customers for their platforms. 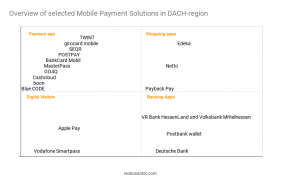 In countries like Germany where unbanked population approaches zero, Amazon (and potentially the rest of GAFA) has less to gain in a very crowded market (see ING-DiBa, N26, revolut: fairly good incumbents and FinTech re-unbundling and https://www.bloomberg.com/news/articles/2018-01-25/india-and-mexico-get-an-early-taste-of-the-bank-of-amazon). 01. 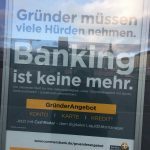 February 2018: Commerzbank advertises founder-oriented banking products Commerzbank might have been offering that for much longer but I came across it on Februar 1st. The ad (see image below) is in German but its message is that founders have many obstacles to overcome of which banking is none anymore. For me this is yet another example of the question what a financial product means in the FinTech-context and who offers it (see FinTech, redefining products and product-oriented banking).